Silverhook Concentrated Red Antifreeze and Summer Coolant provides all year round protection for up to 5 years. It is suitable for all types of engines, including aluminium. Featuring Organic Acid Technology (O.A.T. 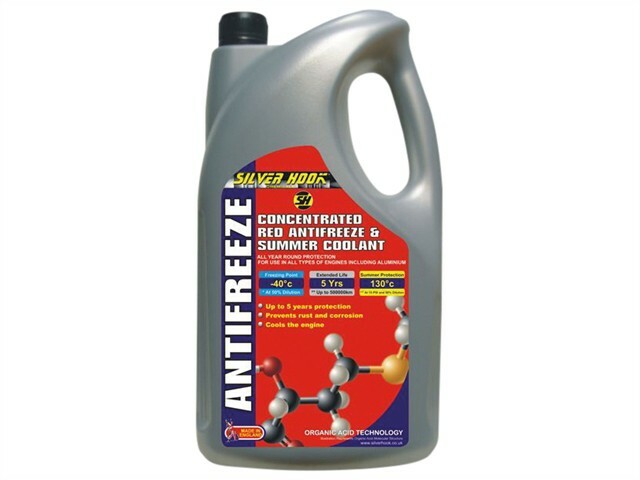 ), the antifreeze prevents rust and corrosion and will also cool the engine. Freeze Protection: -36°C at 50% dilution. Summer protection: 130°C at 15 PSI and 50% dilution.